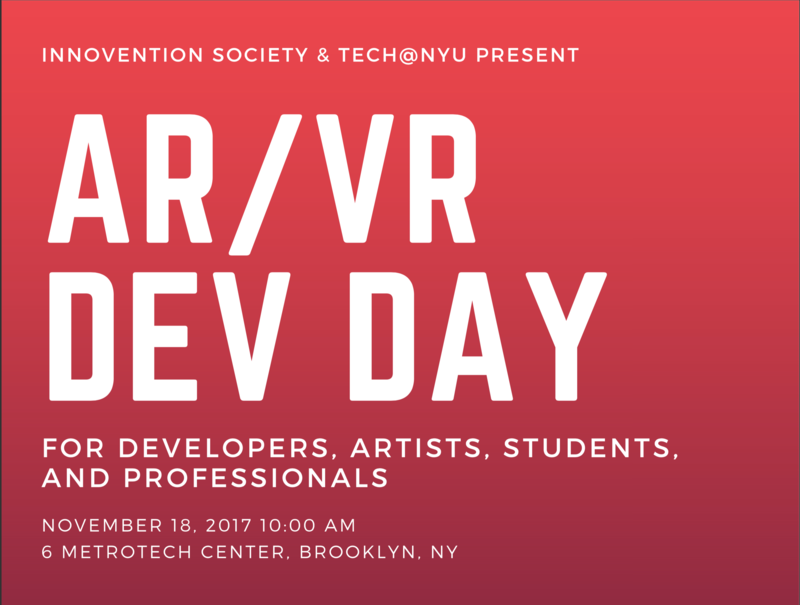 On November 18th, NYU clubs InnoVention Society & Tech@NYU will be hosting the first ever NYU AR/VR Developer's Day. This is one of the first of its kind to bring together students, entrepreneurs and top professionals in the field. This will be an incredible experience -- a day full keynotes, workshops and demos to strengthen the NYC AR/VR community and how we think about this space.Come out to meet a potential co-founder, make some new friends, or just have an awesome time exploring this industry! Oh, and if your have a super cool demo you'd like NYC to see, head down to apply! Justin in the Executive Director at NYC Media Lab, where his team works to connect companies seeking to advance digital media technologies with New York City’s universities to drive entrepreneurship, R&D and innovation focusing on multiple disciplines from data science to design to engineering. NYC Media Lab runs programs and accelerators in partnership with NYCEDC, Audible, Hearst, ESPN, MLB Advanced Media, Bloomberg, News Corp, NBC Universal, Viacom and Verizon as well as NYU and Columbia University. Cindy is the CMO of New York VR Studio DreamSail Games. She leads an international research committee for the VR AR Association as Co-Chair for the Location Based Entertainment Committee. She also is an active member of Women in VR and local NYC Women in Tech groups. An avid data scientist, Cindy’s research domain focuses on emergent technologies and consumer/enterprise ecosystem formation. 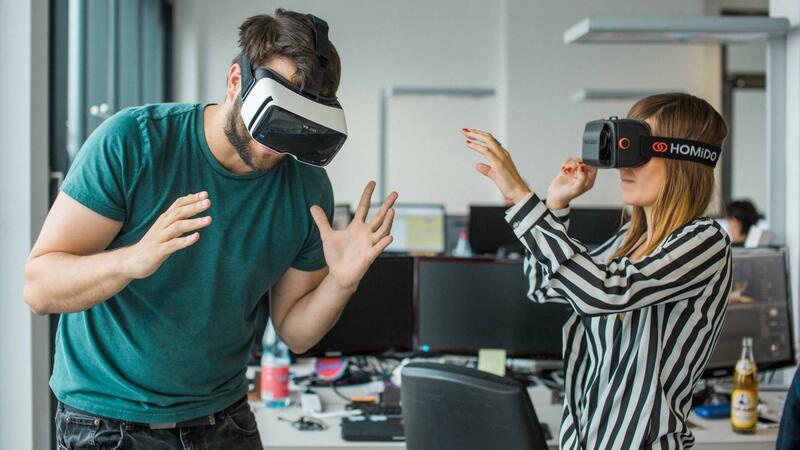 She applies her findings to experimental marketing with an emphasis on business development and go-to-market strategy for high-end VR experiences. As Director of eLearning at the College of New Rochelle, Emory Craig is responsible for instructional technology initiatives, faculty development and the use of emerging technologies. An EDUCAUSE Frye Institute Fellow, he has written extensively on innovation in education and the impact of the digital revolution on contemporary culture. His research focuses on the cognitive and ethical implications of augmented and virtual reality. He is the Cofounder and Partner at Digital Bodies, a consulting group working with organizations on VR/AR/MR initiatives. An active participant in the NYC startup community, he is currently teaching an interdisciplinary course on new media and society. Digital Bodies is a consulting group working with corporate, nonprofit and educational organizations in the implementation and use of immersive technologies. Digital Bodies is frequently cited as a must-read website for news and analysis of emerging technology developments. Our research and practice focus on VR, AR and MR and their impact on media, education, and society. Maya Georgieva is an EdTech strategist, author, and speaker with more than 15 years of experience in global education. Maya is the co-founder and Chief Innovation Officer at Digital Bodies. Her most recent work focuses on learning design, storytelling, immersive VR and AR experiences and digital strategy. Maya has facilitated master classes on Digital Storytelling, VR/AR/MR and New Media Narratives, Innovation and Entrepreneurship at SXSW, NMC, EDUCAUSE and college campuses. She serves as a mentor for the MIT/Harvard Case Competition and as a judge for the Wharton's Reimagined Education Awards and coach for several EdTech accelerator programs. Patrick Montague is VP & GM of betaworks. His prior experience spans a wide range of investing and operating roles across a number of stages, verticals, and functions, including new business development at Meebo (sold to Google), platform partnerships at TuneIn, product development for a financial research firm, and software services growth equity. Betaworks is a startup studio and venture capital firm, where Patrick runs betacamp, a thematically-driven pre-seed investment program, as well as focuses on seed stage investing, new company formation, and all matters corporate & business development. Richard Lapham is a New York based creative technologist. His work focuses on immersive media design in AR/VR and his projects touch on a wide range of topics including creative programming, fabrication, machine learning, and interactive installation. His most recent experiments explores the possibilities of bringing Tilt Brush assets into AR. Richard is also a graduate student at NYU’s Interactive Telecommunication Program with a focus on machine learning, immersive VR and interactive visual art. He co-leads the SustainableITP group at ITP and works as a web developer and creative technologist. He lives and works in New York City with his significant other and their two weird dogs. Sign in, meet people, and get ready for the day. Enjoy free food, network, grab some Google Swag and meet new people. Check out what the NYC AR/VR community has been working on! Whether you have a school project, startup or side project in the AR/VR industry, apply to be part of the demos expo!